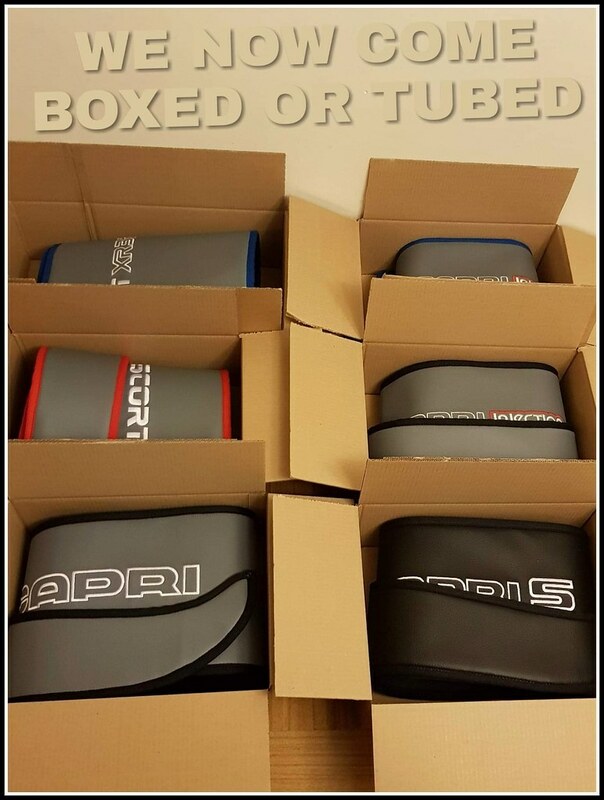 "In order to progress in what we do, we've listened to our customers and we now send out boxed or tubed"
Yep, just as Andy has said the team at Cool Dash have changed their method of delivery from jiffy bag to either a box or tube. Its brilliant when a company hears what customers are saying and does something about it. Whilst I still think the jiffy bag was not too bad the new box/tubes will be better so I say Well done Cool Dash. Yep mine did have some fold creases too mate but it dont seem too bad now Andy. I had mine on the window sill for over a week where the sun could hit it then i laid sone books on the fold areas and as said it aint too bad at all now. I have it sitting on the dash. I run my hand over it back and forth and the folds are not that noticeable. Daz-RSK wrote: Thanks for raising this Nick. I am not on fb so would never have known. I should have read this thread further, instead of just Nick's OP and then asking the company the question. You guys would probably be able to answer. Can this be used permanently ? Does it have the weight to stay on the dashboard whilst the car is moving - or will it slide off ? It really is a menace, the dashboard on mine. Apart from the seats, which I'm having refurbed anyway, the top of the dash is cracked in the usual spot, by the speaker grill. I would love a tailored version that looks good enough to sit permanently on the top there. It would be good if a company then made one that was tailored for a permanent fit and cut outs for the screen vents. You chaps may already know this. 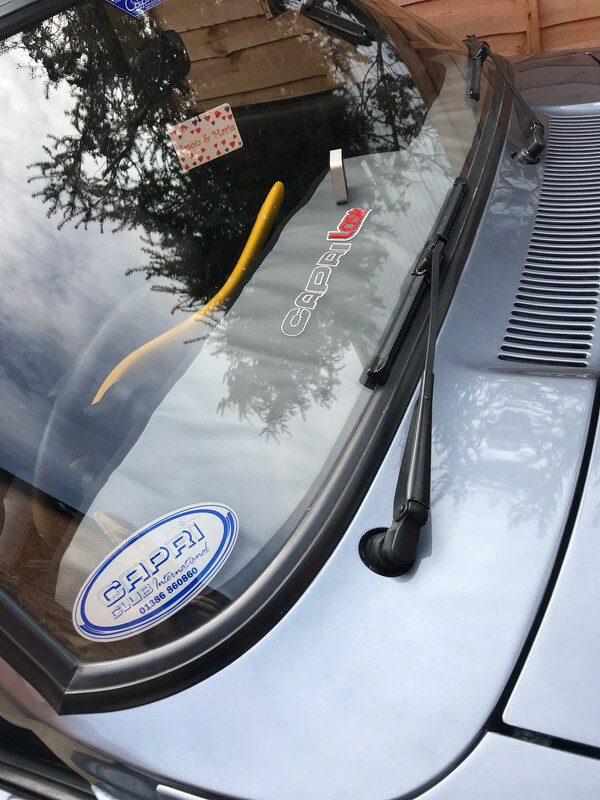 I haven't used the Capri mat yet, but I had one on my XR4x4 and kept it on all the time. It sits in place no problem, only thing is it does block the screen vents, but as I don't drive in wet or damp weather it's not really a problem. Thanks for that Andy. Helpful stuff there. I have also had a response back from Colin and he said that permanent style covers are being looked at next. These don't have the cut out for the screen vents, as you said Andy. But plans are afoot. Also the holes need to be there as that old stereo really needs them to keep cool , so don’t drive with the cover on .. I remember back in the late 80s burning my hand on that what was new stereo. And when I put in a Panasonic headhunt in the 90s the guy even said that’s why the dash cracks because of the heat . Jasonmarie wrote: Also the holes need to be there as that old stereo really needs them to keep cool , so don’t drive with the cover on .. I don't tend to use a radio, but good tip. The sweet sound of the V6 is all the music you need! It's great that Colin at Cool dash has listened to customer feedback and resolved the packaging issues. I am still waiting to do a update on mine as I love music and the drive and johns set up was the dogs what nots . Hi mate. No problems Yep I only do fb for Capri related stuff. I am only in closed Capri groups. I don't do 'public' fb mate. Cant be bothered with all the crap this entails so I just keep it simple and keep it Capri !! Did someone say Cyber Monday???? One day only, £5 off all dash covers. Offer starts from midnight till the stroke of 12 Tuesday, get yours. 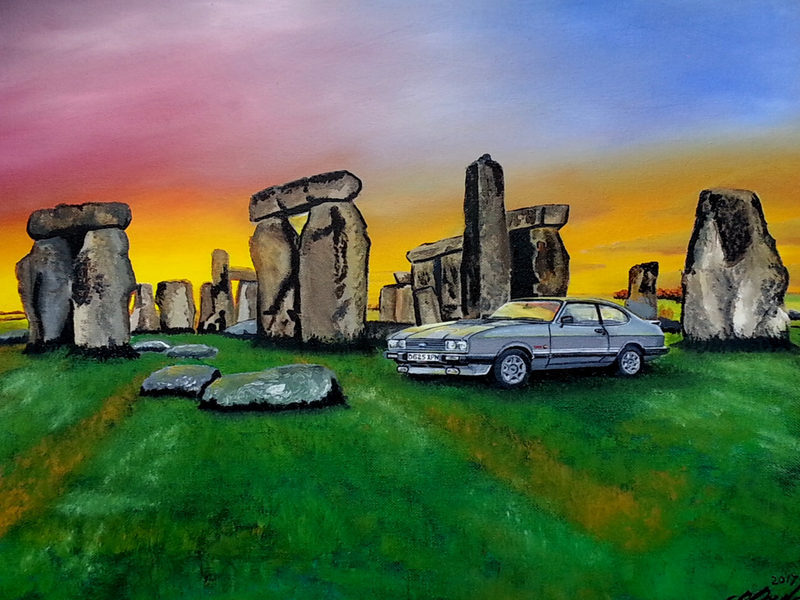 So my Matt has been wrapped up in the bag in the boot all winter and today as it’s nice I have had a good run out then as we say been playing on the drive with the Capri and I think the Matt looks the same as it did when I got it . 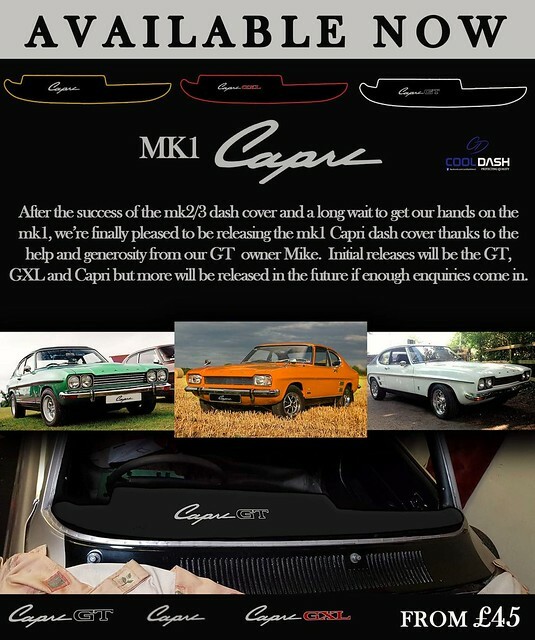 Jasonmarie wrote: So my Matt has been wrapped up in the bag in the boot all winter and today as it’s nice I have had a good run out then as we say been playing on the drive with the Capri and I think the Matt looks the same as it did when I got it . It looks to be a little wrinkled. Almost exactly the same as mine, in fact. I thought that was because I left mine rolled up for 6 months so yours still the same . I wonder how everybody else are getting on ?